Isn't this the old one? Why make a new one? Yes, but Smile isn't coming back. A ordeal you best not ask about. she's not coming back? looks like I missed something interesting in my absence. 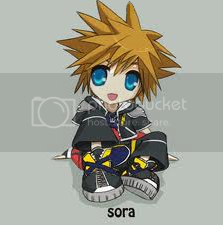 here are some of the reason i like Sora. Sure, but aren't all those Fics Smile only? Should ! Oh I meant, Should I put her work on the club, shouln't everyone have a fic or two on as well?. nice art finds. No, I didn't. Though I am working on a SoNami pic in the style of AT. That a cute and nice fanart. You should put the link there and share smile's fanfic. I have one it's SoKai in AU not sure if it's appropriate here. "My friends are my power!" 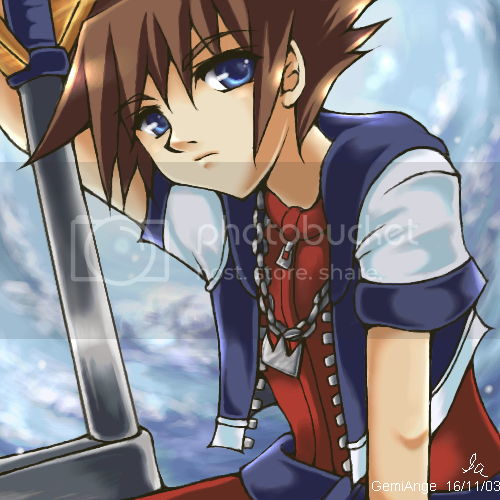 was always a personal favorite of mine, though Ven has a better version of the line in BBS. All of Re:Coded. Just... all of Re:Coded.